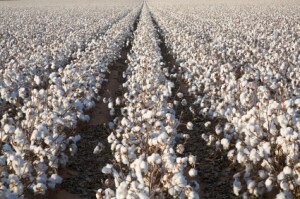 Cotton has been cultivated and used to make fabrics for at least 7,000 years. Cotton may have existed in Egypt as early as 12,000 B.C. Fragments of cotton fabrics have been found by archeologists in Mexico, India, Peru, and the southwestern United States dating back to 3500 B.C. Once cotton is harvested, it is stored in modules for protection against the weather. A module builder hydraulically compresses the cotton from the picker into a module of cotton which is usually stored in the field or in the gin yard until the cotton is ginned. A module holds about 13 to 15 bales. At the cotton gin, the cotton fiber is separated from the cottonseed. 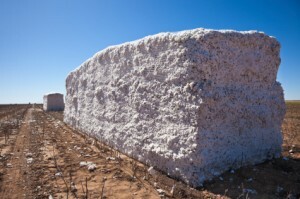 The cotton fiber is compressed into bales. A bale weighs about 480 pounds. 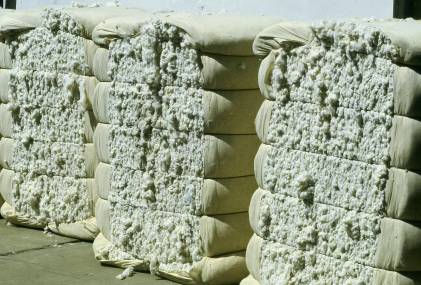 Every year, approximately 8 to 9 million bales are used by U.S. textile industries. United States paper currency is made up of 75% cotton and 25% linen. This means that there is three-fourths of a pound of cotton in each pound of dollar bills. So how much cotton is made into bills each year? In the U.S., cotton is regulated as a food crop. 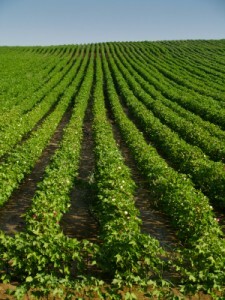 Cotton can be grown continuously without hurting the soil. 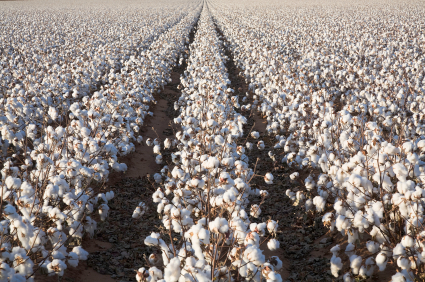 Cotton is produced on over 8,500 farms in Texas. 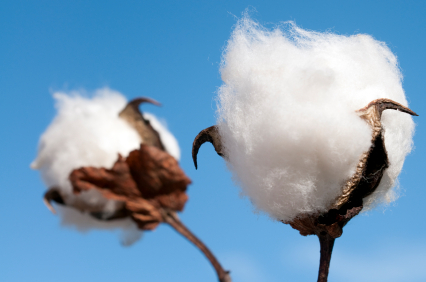 The cotton industry accounts for more than $25 billion in products and services annually. After leaving the farm, cotton is processed and handled by gins, cottonseed mills, warehouses, shipping companies, textile manufacturers, and retailers. The cotton industry in the United States provides jobs for more than 440,000 Americans. The first T-shirts were elbow and hip length undershirts issued to sailors in the U.S. navy in 1880. The shirt resembled a perfect “T” when laid out on a flat surface… which is how it got its name.